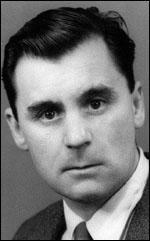 Richard Hoggart, the son of a housepainter, was born in Leeds on 24th September, 1918. His father died when he was only a year old. His mother brought up her three sons in extreme poverty. His mother died seven years later and the children were split up. Richard now went to live with a widowed grandmother in Hunslet. The headteacher of his junior school identified him as an intelligent child and gave him special help. As John Ezard has pointed out: "His elder brother, Tom, became the first Hoggart to go to a grammar school. Richard was the second, helped by hardship grants from bodies such as the Board of Guardians and the Royal British Legion. He failed the 11-plus maths paper, but got a scholarship on the strength of his English essay, supported by a plea from his elementary school headteacher. Although at the age of 13 he had a brief nervous breakdown through overwork, he went on to win a distinction at the equivalent of O-level maths." Hoggart later discovered that there were only 30 available places at Cockburn High School for a catchment of 65,000 children of his age. In 1936 Hoggart won one of 47 Leeds University scholarships available to his generation of 8,000 18-year-olds. At university he met his future wife, Mary. He got a first in English but while doing an MA thesis was called up to fight in the British Army in the Second World War. He served in North Africa and Italy and eventually became a intelligence officer and by 1945 had reached the rank of staff captain. Nicholas Wroe has argued: "The publication of The Uses of Literacy in 1957 propelled Richard Hoggart, then an extramural lecturer at the University of Hull, to the forefront of the changes that swept British culture from the sclerotic 1950s into the swinging 60s. The book was a groundbreaking study of working-class culture and a critical appraisal of the changes wrought by the commercial forces... Not only did it anticipate the opening-up of the cultural landscape, it also contributed to a critical and popular climate far more receptive to the subsequent explosion of books, films and art about working-class subjects by working-class artists." David Lodge added: "Richard Hoggart was a hero of the liberal literary intelligentsia in the 1960s... Uses of Literacy is still in print and is still studied and read, but in those days it was a kind of Bible for first-generation university students and teachers who had been promoted by education from working-class and lower middle-class backgrounds into the professional middle class." Hoggart was also involved in the campaign against the 1857 Obscene Publications Act. In 1959, the Labour Party MP, Roy Jenkins, introduced a private member's bill, that aimed to change the act. Jenkins persuaded Parliament to pass a new Obscene Publications Act. Before 1959 obscenity had been a common-law offence, as defined by the lord chief justice in 1868, extending to all works judged to "deprave and corrupt" those open to "such immoral influences". Under the new act works were to be considered in their entirety and could be defended in terms of their contribution to the public good; after 1959 those convicted of obscenity would also face limited (in contrast to previously unlimited) punishments of a fine or up to three years' imprisonment. As a result of this legislation, Sir Allen Lane, the chairman of Penguin, agreed to publish an unexpurgated edition of Lady Chatterley's Lover, a novel that had been written by D.H. Lawrence in 1926. The initial print was 200,000 copies. Alerted to Penguin's intention to publish the novel, Sir Theobald Mathew, the director of public prosecutions, decided to prosecute the firm under the act of 1959. It was a move welcomed by Sir Reginald Manningham-Buller, the Conservative government's attorney-general, who expressed the hope that "you get a conviction". Mervyn Griffith-Jones was selected as the prosecuting counsel in the trial that was held at the Old Bailey between 20th October and 2nd November 1960. Michael Beloff has commented: "From the outset Griffith-Jones's hostility to the unexpurgated edition was apparent to those observing this high-profile test case of the new legislation." One observer, the journalist, Sybille Bedford, commented on a "voice quivering with thin-lipped scorn". In his opening statement Griffith-Jones advised jury members that they must answer two questions: first, whether the novel, taken as a whole, was obscene in terms of section 2 of the new legislation ("to deprave and corrupt persons who are likely, having regard to all relevant circumstances, to read the matter contained in it") and, second, if this proved so, whether publication was still justified for the public good. "You may think that one of the ways in which you can test this book, and test it from the most liberal outlook, is to ask yourselves the question, when you have read it through, would you approve of your young sons, young daughters - because girls can read as well as boys - reading this book. Is it a book that you would have lying around in your own house? Is it a book that you would even wish your wife or your servants to read?" C. H. Rolph later argued that the question "had a visible - and risible - effect on the jury, and may well have been the first nail in the prosecution's coffin". Richard Hoggart was one of several academics, including Raymond Williams, Graham Goulder Hough, Helen Gardner, Vivian de Sola Pinto, Kenneth Muir and Noel Annan, that appeared for the defence. Hoggart described the book as “highly virtuous if not puritanical”. They were accompanied by thirteen authors and journalists, including Rebecca West, E. M. Forster, Francis Williams, Walter Allen, Anne Scott-James, Dilys Powell, Cecil Day Lewis, Stephen Potter, Janet Adam Smith; John Henry Robertson Connell and Alastair Hetherington. Other defence witnesses included John Robinson, the Bishop of Woolwich. In his closing speech, Mervyn Griffith-Jones questioned whether the opinions of university lecturers and writers were those of the "ordinary common men and women" who would read Penguin's cheap paperback edition, and reiterated that the novel contained depictions of sexual activity of the kind that could only be found "some way in the Charing Cross Road, the back streets of Paris and even Port Said". Griffith-Jones's efforts were in vain and on 2nd November, 1960, the jurors returned a verdict of not guilty, so opening the way for the legal distribution of novels that had previously been considered obscene. The book went on sale on 10th November, at 3s. 6d., and by the end of the first day the complete run of 200,000 copies had been sold. Within a year of its publication, this edition of Lady Chatterley's Lover had sold more than 2 million copies. Hoggart moved to the University of Birmingham. In 1964 he established the Centre for Contemporary Cultural Studies (CCCS). As the Guardian pointed out: "The foundations of cultural studies lay in an insistence on taking popular, low-status cultural forms seriously and tracing the interweaving threads of culture, power and politics. Its interdisciplinary perspectives drew on literary theory, linguistics and cultural anthropology in order to analyse subjects as diverse as youth sub-cultures, popular media and gendered and ethnic identities... Hall was always among the first to identify key questions of the age, and routinely sceptical about easy answers. A spellbinding orator and a teacher of enormous influence, he never indulged in academic point-scoring. Hall's political imagination combined vitality and subtlety; in the field of ideas he was tough, ready to combat positions he believed to be politically dangerous. Yet he was unfailingly courteous, generous towards students, activists, artists and visitors from across the globe, many of whom came to love him." As The Daily Telegraph pointed out, Hoggart disagreed with Hall's Marxism: "Hoggart wrote in the 19th-century tradition of radical idealism, with its strong sense of moral values. He was a tireless enemy of independent broadcasting - and of the public schools, which he saw as perpetuating social privilege. Yet he was also essentially conservative in his dislike of change; hawkish in foreign affairs; and thoroughly elitist in his disdain for modern mass culture." In 1969 Hoggart left university life to become assistant director-generalship at Unesco. According to John Ezard: "Hoggart puzzled friends by choosing Unesco. He travelled three times round the world but was appalled by what he regarded as the misconduct, bureaucracy, infighting and laziness he found within the organisation." Hoggart resigned in 1975 and wrote a critical book about the organization entitled, An Idea and Its Servants: UNESCO from Within (1978). Hoggart was also Warden of Goldsmiths College (1976-1984) and a member of the Arts Council of Great Britain. Other books by Hoggart include The Critical Movement (1964), Speaking to Each Other (1970), Only Connect (1972), Speaking to Each Other (1973),An English Temper (1982), An Idea of Europe (1987), A Local Habitation: Life and Times 1918-40 (1989), An Imagined Life: Life and Times 1959-91 (1992), A Measured Life (1994), The Way We Live Now (1995), First and Last Things (2001), Everyday Language and Everyday Life (2003), Mass Media in a Mass Society (2005) and Promises to Keep (2006). Richard Hoggart died on 14th April, 1914. Such was the seismic impact of the book that it is not surprising that Hoggart has not produced anything quite like it since. But he has continued to offer principled critique of contemporary culture as a writer, administrator, academic and committee man. His observations on the state of public broadcasting remain trenchant. Hoggart is a lifelong member of the Labour party but recently considered resigning over "something most people would regard as negligible. I thought the government's attitude towards the Communications bill was quite inadequate and I do wish there was a George Orwell around who could burn Blair's jacket politically and intellectually." In a Guardian article he called the bill "one of the most ill-conceived legislative proposals for many decades that would continue wrecking one of our major cultural achievements of the last century, that of creating a sound, independent democratic structure for broadcasting". He drew on Ezra Pound, RH Tawney and Shakespeare to reinforce his argument and compared "vapid programmes" to "mild drugs" in that they have "increasingly to spice themselves up" - to beat the competition rather than make better programmes. Hoggart's classic, The Uses of Literacy (1956), is firm in its place among the great books of the 20th century. It gave an immensely detailed picture, lit up with knowledge and affection, of British urban working-class people in the years spanning the second world war. 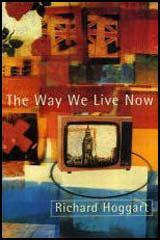 Hoggart caught them at the point where their lives, values and culture were being changed by postwar advertising, mass media influences and Americanisation. He was one of them and always remained so in his loyalties. The book was at once recognised not only as "an exquisitely drawn portrait" but for its rarer trait of "complete intellectual honesty", which was to remain Hoggart's hallmark and helped him become one of the most watchful, formidable consciences of his age. Warning of a gradual process of cultural debasement – "as dangerous in its way as in totalitarian societies", the book influenced the social and political insights of a generation. It proved decisive in popularising cultural studies as an international academic discipline. It also gave him a very busy life. Hoggart wrote in the 19th-century tradition of radical idealism, with its strong sense of moral values. He was a tireless enemy of independent broadcasting - and of the public schools, which he saw as perpetuating social privilege. He also thoroughly detested the fashion for relativism, which “leads to populism which then leads to levelling and so to reductionism of all kinds, from food to moral judgments". For Hoggart, those who maintained that the Beatles were as good as Beethoven represented a “loony terminus”. 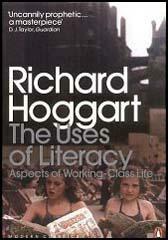 The Uses of Literacy made Hoggart a highly influential commentator on British culture . He served on government advisory bodies and spent five years working for Unesco. He also founded the Centre for Contemporary Cultural Studies at Birmingham University, which established Cultural Studies as an academic discipline.